Fancy Saying ‘I Do’ In Las Vegas? Here’s What You’re In For…. 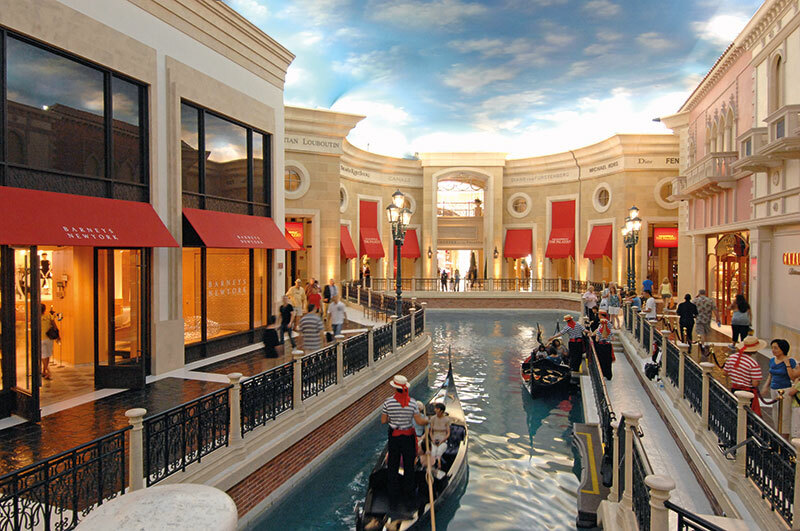 While of course Vegas offers the ‘crazy’ that it’s come to be known for even when you want to take your vows (think underwater weddings or getting married in limousines, gondolas on indoor streams flowing through hotels, or hot-air balloons), for a simple affair there’s plenty you can find. I waltz into the Aria Wedding Chapel, and the smiling assistants take me through their ‘menu’ of offerings. The charming little space’s walls are decorated with a white, self-embroidered fabric that provides the perfect backdrop to photos, and a room to pick your decor and wedding cakes lies on your left (no you can’t taste the samples, I asked). To make sure your groom and his groomsmen stay put in their waiting area while you get ready, there’s a TV and a pool table to keep them entertained! The ballroom where ceremonies take place is in a lovely lilac and white, with gorgeous chandeliers. I ask what I’d get if I were to sign up right that moment to marry in 24 hours — a trip to the courthouse, arrangement of official documents, and a selection of music and flowers. What else does one need to say ‘I do’? As I drive down the South Las Vegas Boulevard — just a few minutes away from the Strip — I’m greeted by a number of chapels and churches with adjoining lawns. We cross the Graceland chapel and the Chapel of the Flowers to the Little White Chapel and the Chapel of the Bells — I take a moment to admire the stained-glass windows, and all I’m wishing for is that I had a groom with me! Like my new-found friend Elvis (he’s rarely known by his real name anymore) tells me, “So many have wanted to marry on a whim once they come to the chapel — some have even looked at their watches when asked how long they’ve known each other!” For the romantic at heart who have dreamt of a wedding under the stars, ceremonies at Sunset Gardens or The Grove will make you feel as though you’re in the European countryside instead of the desert. Ask anyone who’s in love with the idea of love about their idea of a fairy-tale wedding, and it’ll probably include the Eiffel Tower. 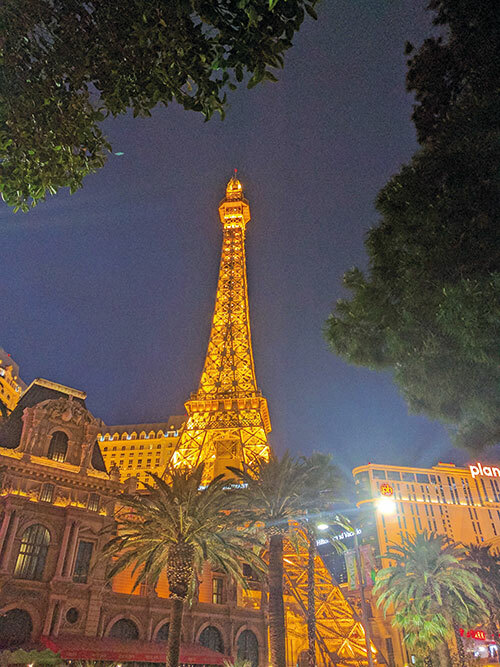 And for those whose French nuptials are but a distant dream, Paris Las Vegas — in the Paradise district — offers the closest thing. As I sit at the first floor restaurant of the ‘Eiffel Tower’, devouring my quiche Lorraine and chocolate mousse, I hark back to a while ago when I took the elevator up to the 50th floor of the monument, from where I was treated to stunning views of the arc lights that Vegas is known for. A pianist or guitarist plays live music as you take (or renew) your vows, I learn. A photo shoot in front of the tower or replicas of the Arc de Triomphe and La Fontaine des Mers, and you have the perfect frame for your mantelpiece. All without the adrenaline rush that this city is known for, I’ve found several ways to bring in the day I’ve been planning since I was five years old. Is Las Vegas worth the walk down the aisle in a country far, far away? I’ll tell you after my first dance. Take it away, Elvis!